If you've recently received a hair transplant, you may be worried about your first trip back to the barbershop. Don't worry, it's normal to feel jittery, especially if it's been a while since your last visit. The following tips will help you feel more comfortable at the barbershop. When can I get a haircut after a transplant? Only your plastic surgeon can give you specific advice on how long to wait before getting a haircut. In general, patients should wait at least one month after receiving follicular unit extraction (FUE) or other forms of hair restoration. During that month, you doctor may suggest using special shampoo or other treatments to promote healing and recovery. In this initial period, your scalp may be more sensitive than usual – similar to that of a light sunburn. While it's unlikely you'll want to get a haircut immediately, you should resist the urge until your scalp has returned to normal sensitivity. Before your first post-transplant haircut, check in with your doctor to make sure everything is healing fine. Your barber can help you choose a flattering style. Will the barber know what to do with my new hair? Generally, yes. According to the International Society of Hair Restoration Surgery, approximately 635,189 hair restoration procedures were performed in 2016. 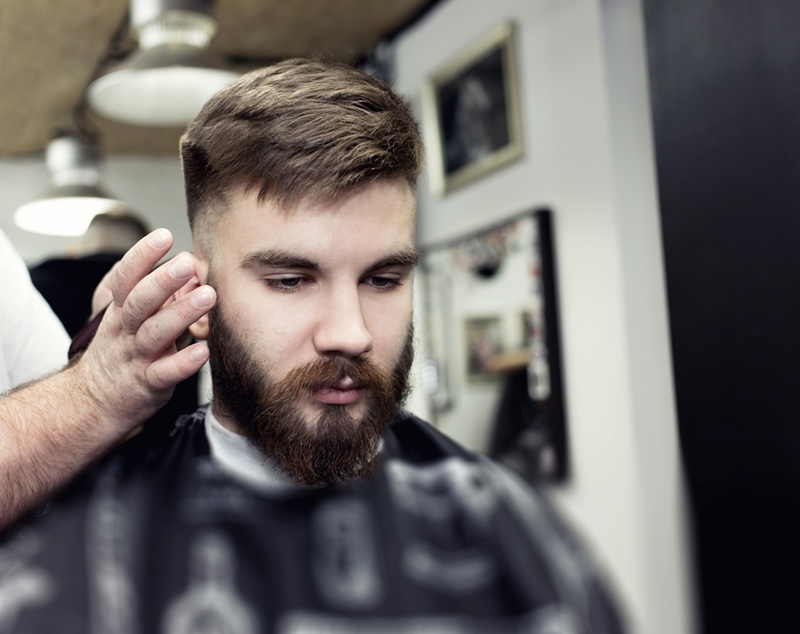 It's quite a common procedure and most barbers and stylists will be familiar with it. Plus, there's nothing particularly special about a scalp with transplanted hair. You should be able to style it and cut it just like before. If you're worried about sensitivity, tell your barber about your procedure and he or she will likely be accommodating. How can I style my hair? Once your hair has had some time to grow in, you can style it however you wish. In the early stages, a shorter haircut may be better and easier to maintain. Men with very light hair may still be self-conscious about appearing thin on top. Using mousse or another volumizing agent will help your hair appear fuller and thicker. Ask your barber for his or her opinion. A professional will be able to give you personalized advice, taking into account your recent surgery, head shape, style preferences, etc. Dr. Marotta is a dual board certified facial plastic surgeon. He is committed to delivering the best experience possible to his clients. Schedule a consultation today to see how Dr. Marotta and his team can help you decide which hair restoration option is right for you. ← Does your workout routine affect your hair loss?